Illinois State University athletic director Larry Lyons said a new indoor practice facility would have to be funded with all private money. Illinois State University athletic director Larry Lyons said he's trying to lay the groundwork for a new indoor practice facility that would have to be funded entirely by private dollars. While ISU is pouring more money into Horton Fieldhouse—it's getting a new floor, track and roof—Lyons said the facility is old and overbooked as a practice, academic and recreation facility. Lyons envisions a new facility that could be built north of Horton where the football practice field is now. Lyons said he understands the university has more pressing building needs, referring to the university’s long-awaited plans to renovate its fine arts center complex and ongoing renovations to Bone Student Center. “There are priorities on this campus and right now an indoor (facility) is not the highest priority from a campus perspective, though it might be from an athletics perspective,” Lyons said. Lyons said an architect is working on cost estimates for the facility. Illinois State men's basketball attendance has fluctuated in recent years, but is currently seven percent off the 10-year average from 2009 to 2018. 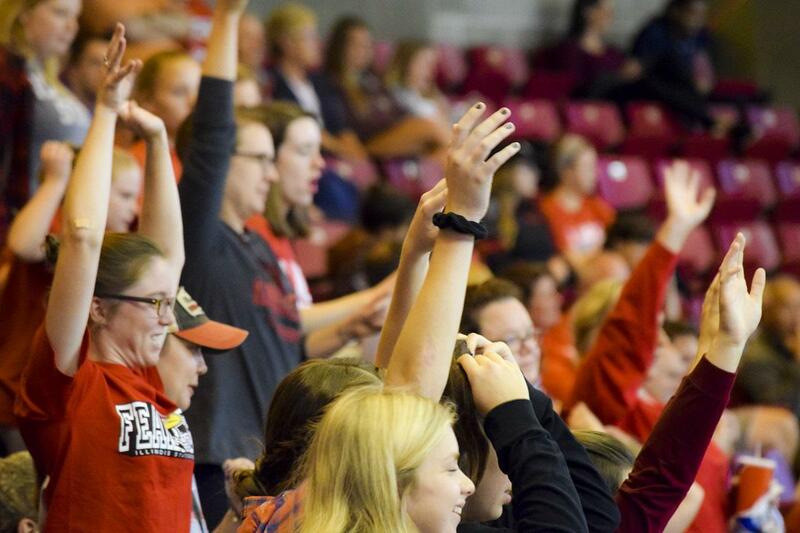 Attendance has been declining at Illinois State athletic events in recent years. ISU men's basketball attendance is averaging 5,256 fans through its first 13 home games. That’s down 7 percent from the most recent 10-year average. Football attendance dropped close to 20 percent last year to an average of 9,260 for six home games. Lyons said it's a problem colleges and universities are dealing with across the country, because of television and so much else competing for our time. He said he believes improved seating at Redbird Arena, which ISU will be putting in over the summer, will help attendance there. “If you can make the building a little more comfortable, make the building a little bit more accessible and hopefully your teams are competitive so that people will want to come out and watch them, and then try and find ways to attract students when they are on campus,” Lyons said. New lower bowl seats will be closer to the floor, wider with more leg room and other amenities. Redbird Arena also added new LED lights as part of a $360,000 project that Lyons said will pay for itself through energy savings in 10 years. One of Illinois State University's most decorated athletes will soon be inducted into the Missouri Valley Conference Hall of Fame.